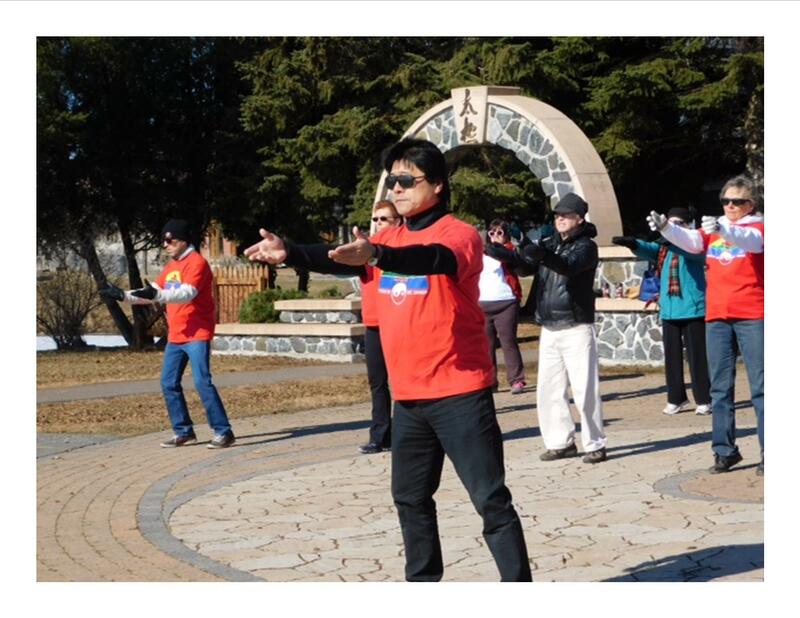 Thunder Bay’s Taiji Master Peng You and three of his students recently journeyed to the birthplace of Tai Chi, the Chen Village on the outskirts of Jiaozuo, China for the 2018 Chen Zhenglei Taichi Symposium. 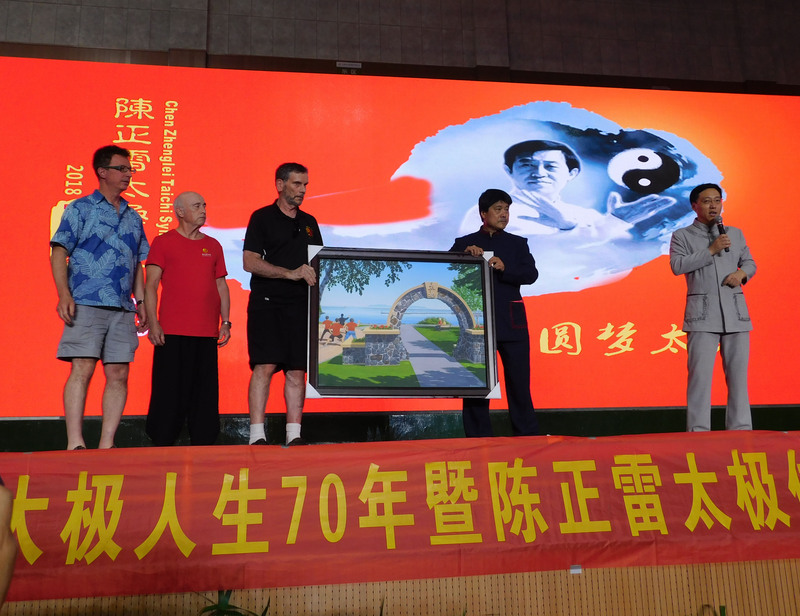 There they did advanced level training and joined in the celebration of Grandmaster Chen Zhenglei’s 70th birthday. On arrival in Jiaozuo* the group was given royal treatment by officials of the city, including: Mayor Xu Yixian; the First Deputy Mayor Yang Qingjiu; the Director of Foreign Affairs Li Peng; and several others. 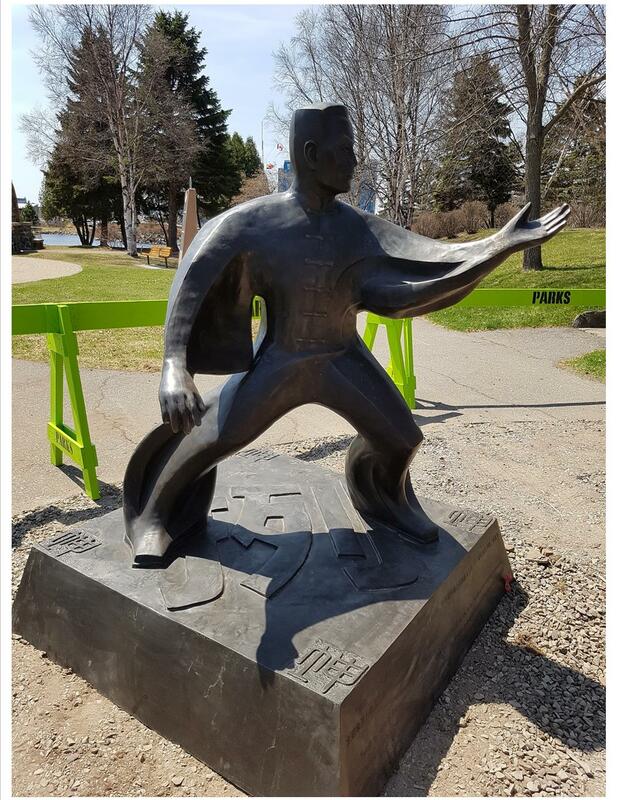 Besides travel assistance and accommodation the city framed a canvas print of Thunder Bay’s Tai Chi Park (‘Jewel of the Marina’ by Brian Nieminen which was brought as a gift for GM Chen from the Peng You Taiji Association), and treated the travelers to two amazing banquets. At the Chen Village, after registration and accomodations, there was a three day event called the 8th Chenjiagou Kungfu Elite Tournament. 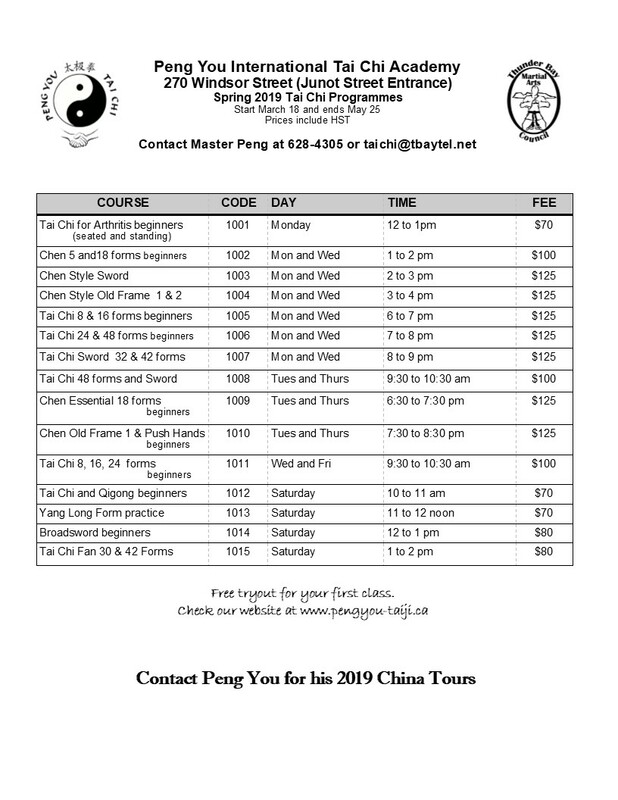 Master Peng You’s student Brian Nieminen competed in two forms and was awarded a silver and a bronze medal. Four days of intense training followed, students Bill Climie and Mitch Albert studying Old Frame One and Nieminen Old Frame Two. 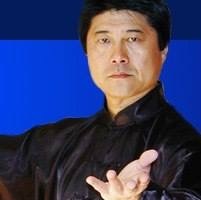 Master Peng You received one of the highest possible honours – he became an ‘In Chamber Disciple’ of the Grandmaster in a rare and very elaborate ceremony. Although the Tai Chi was the highlight of the trip there was some time for sightseeing and holidaying as well. 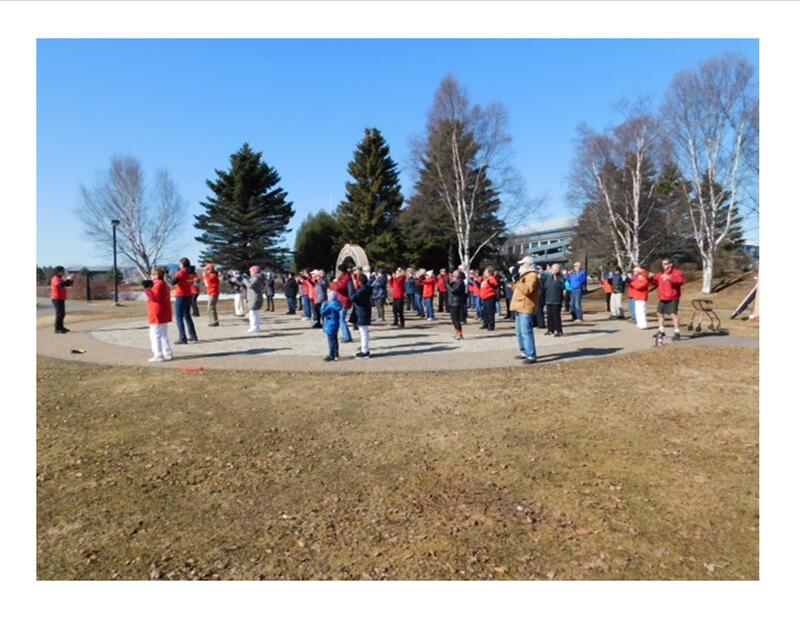 It was a once in a lifetime experience for the group and hopefully will help raise the level of Tai Chi practice for Thunder Bay practitioners as Master Peng You and the students share what they’ve learned! 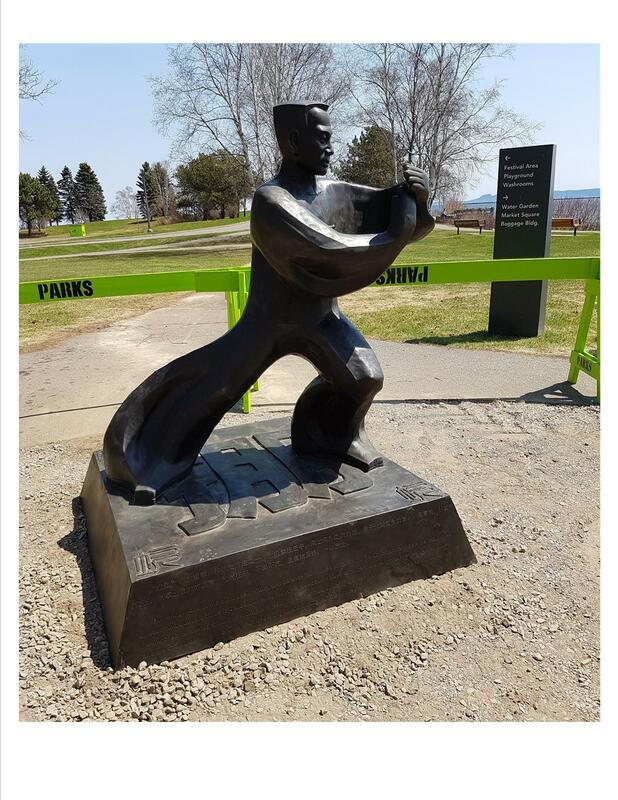 * Through the ongoing efforts of Master Peng You and the Sister City Committee, Jiaozou recently became Thunder Bay’s newest sister city and donated, including shipping, three beautiful bronze sculptures (now installed at the Tai Chi Park at the Marina) to our city. Host Chen Bin explaining the gift for GM Chen. 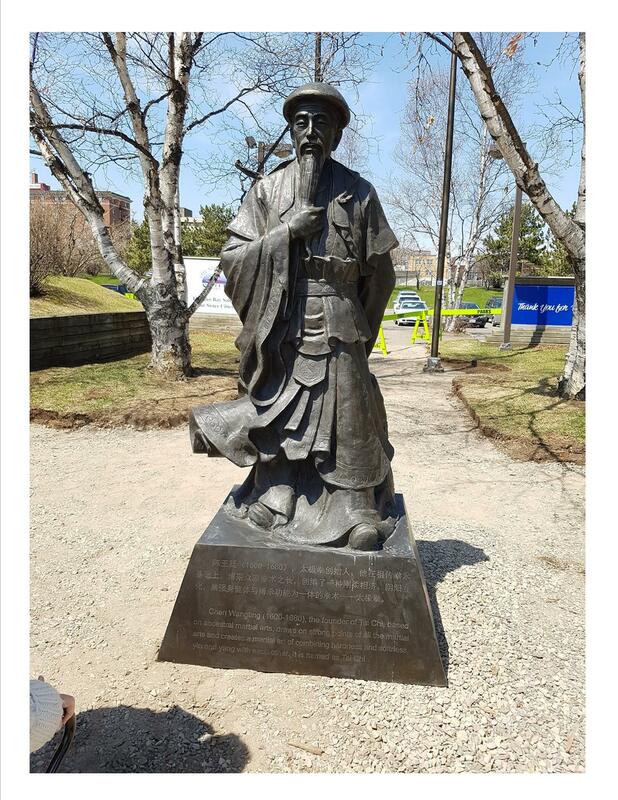 The unveiling and dedication ceremony for the statues from Jiaozuo City on Monday, May 21 at 11:00 am was a spectacular success! 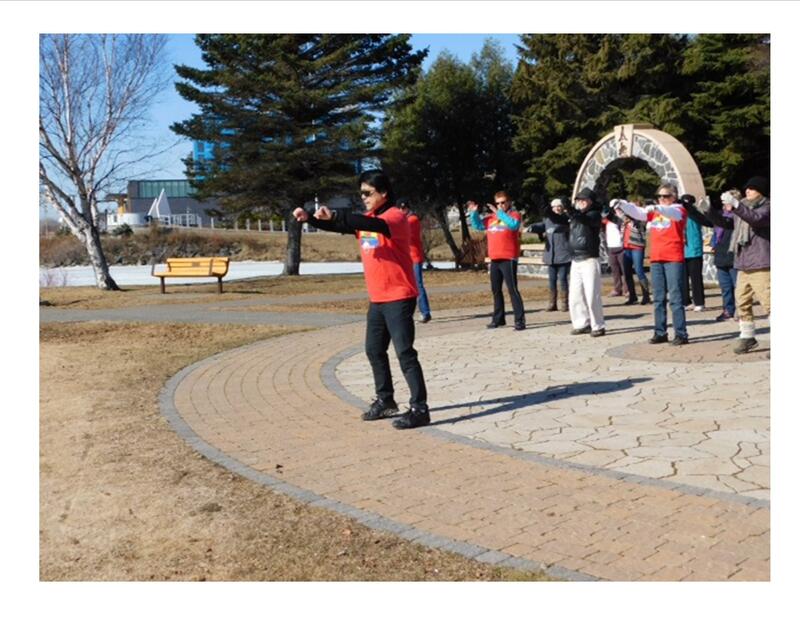 At the International Taiji Park at the Marina…. 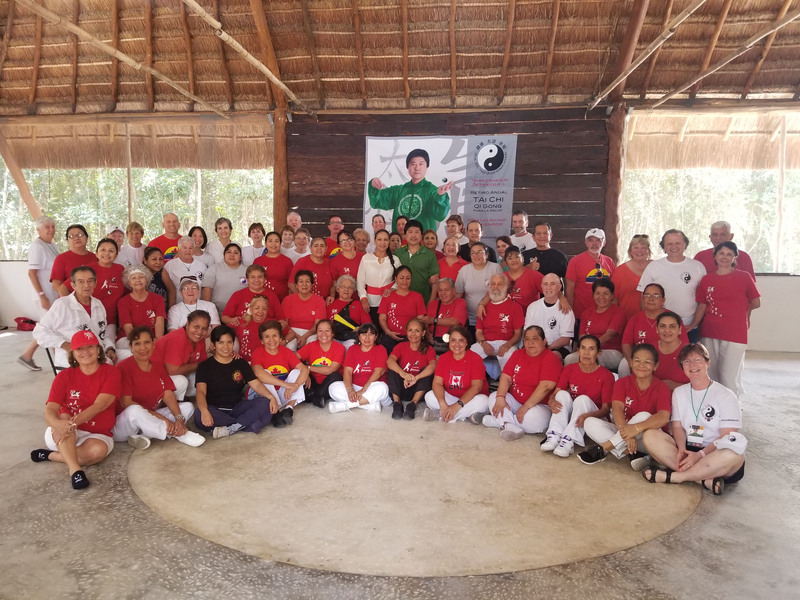 The 10 Day Tai Chi Retreat in Cancun was a resounding success! Here is our Thunder Bay group with our Mexican amigos at the Shaolin Temple in the jungle in Cancun!!! at the Polish Legion, 209 N Cumberland St. The traditional turkey dinner was fabulous! The Taiji participation and demos – 8 Forms; Taiji Fan and Taiji Sword were awesome and the music by Gilbert, Bill and Allan was a perfect ending to a fabulous evening. Special thanks were extended to the hard working executive and all the volunteers who helped out and the businesses that provided gifts and support. 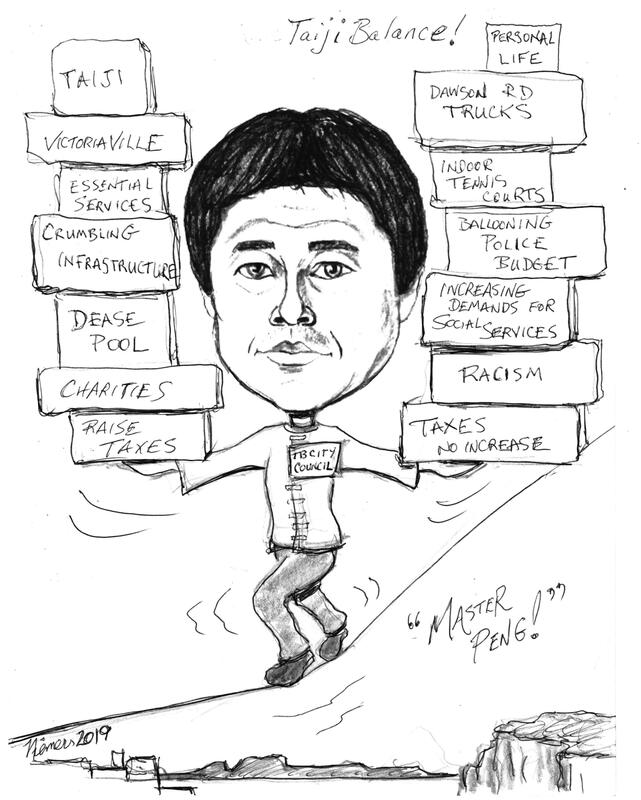 And a standing ovation was given to Master Peng for his amazing year of accomplishments. 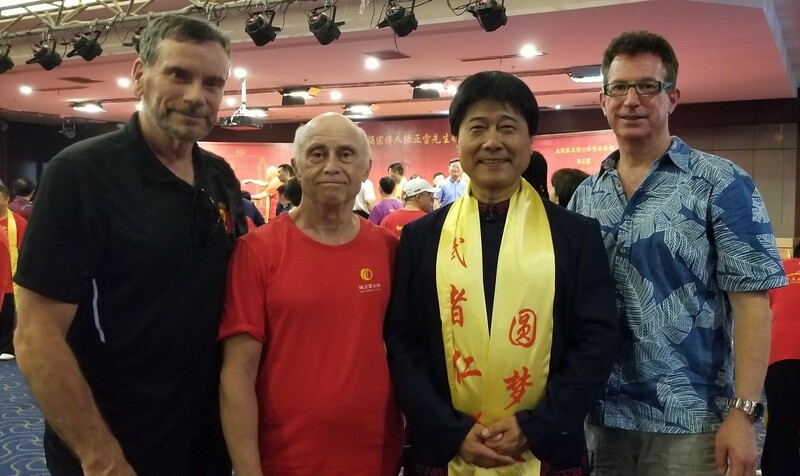 Lastly a special tribute was made to our Association Chairman Wayne Bilbrough for his relentless and energetic contributions to Taiji for well over 20 years. 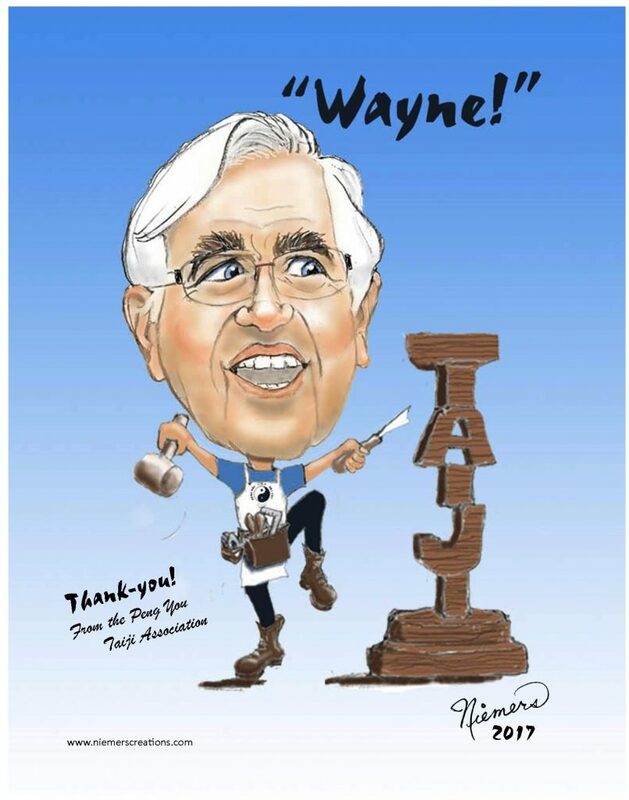 As was pointed out he has not practised Taiji himself in the past but if anyone is interested they may contact him about the new form created just for him – Taiji Woodcarving! 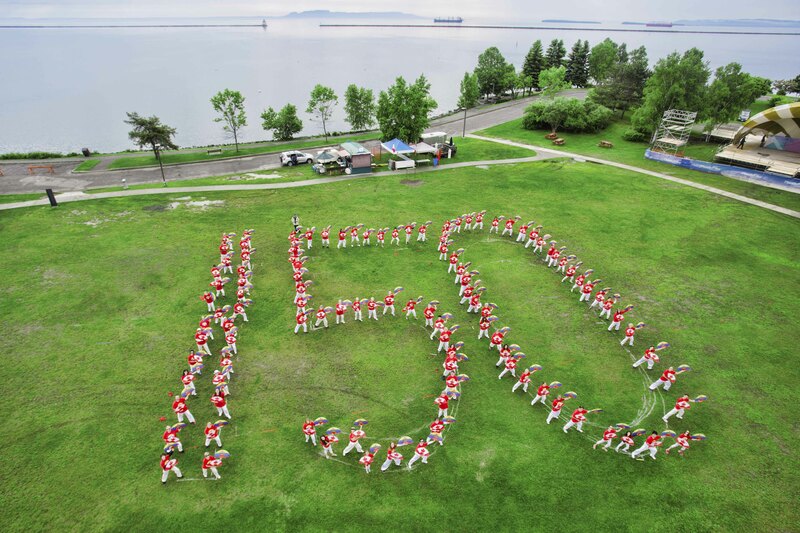 When Jiaozuo set a Guinness World Record with 52,000 people doing Tai Chi at once, many Tai Chi groups across the world, including us joined in. See the current Taiji Post for more information about it. 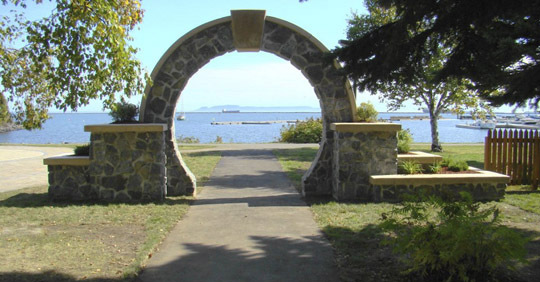 Find out more about Taiji Park. 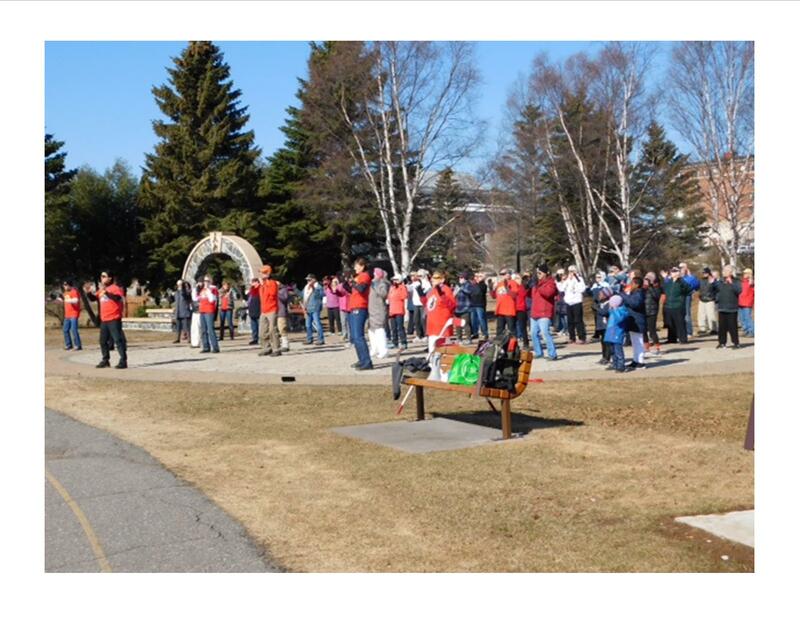 Join the International Taiji Park facebook page.